We always like to open by emphasising how honoured we feel to be yoga teachers. Yoga has shaped our lives and enriched our experiences deeply, and we are privileged to share this journey with you. 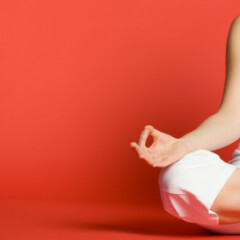 We offer two unique forms of hatha yoga for you to experience. Cecily's lifelong practice of yoga shapes her beautifully balanced hatha yoga class for all levels. She is committed to building strength, and openness in her practice, and her savasana (relaxation) is a gift absorbed by her students. Alison shares a practice inspired by the Universal Principles of Alignment from the Anusara Yoga system. She is current working towards gaining an affiliate certification in the method. In Alison's class you will explore a full experience of stepping into the flow of grace and fully participating in the opening of your body, mind and spirit. Both of our instructors have trained at My Health Yoga with Carrie-Anne Fields, with Cecily holding a Level 2 certificate, and Alison a Level 1.